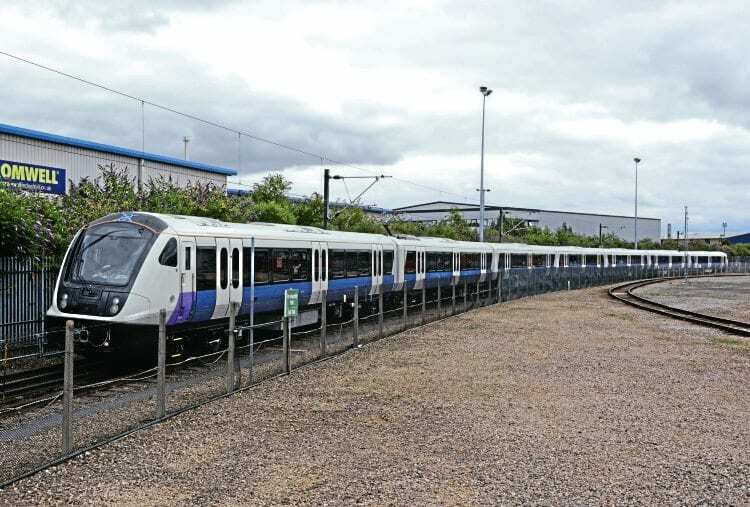 The first of the 66-strong fleet for the new cross-London Elizabeth Line has started testing at Bombardier’s factory in the Midlands. UNIT No. 345001 was shown off to the press at manufacturer Bombardier’s factory in Derby on July 29. The EMU is the first of 66 that will form the Crossrail, now Elizabeth Line, fleet for services between Reading and Shenfield/Abbey Wood via the new tunnel being built beneath central London. After dynamic testing at Derby and then on the Old Dalby test track in Leicestershire, the first sets should be delivered to Transport for London in February next year, and are due to enter service three months later in May between Liverpool Street and Shenfield.